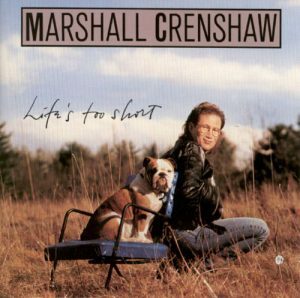 After Field Day, I lost track of Marshall Crenshaw for the rest of the 1980s. For whatever reasons, I never got around to listening to either 1985’s Downtown, 1987’s Mary Jean and 9 Others or 1989’s Good Evening. Hey, the second half of the 1980s were a complicated time for me. So, assuming each record made it to KFSR, all I can assume is that I dropped the needle on a few tracks, but never found anything that I liked enough to justify spending money on a whole record.